One of the beauties of the High Fantasy is that it teaches critical real-world lessons in totally out of this world ways. For example, take the age old question of: What does one's race have to do with friendship? None that I can see. 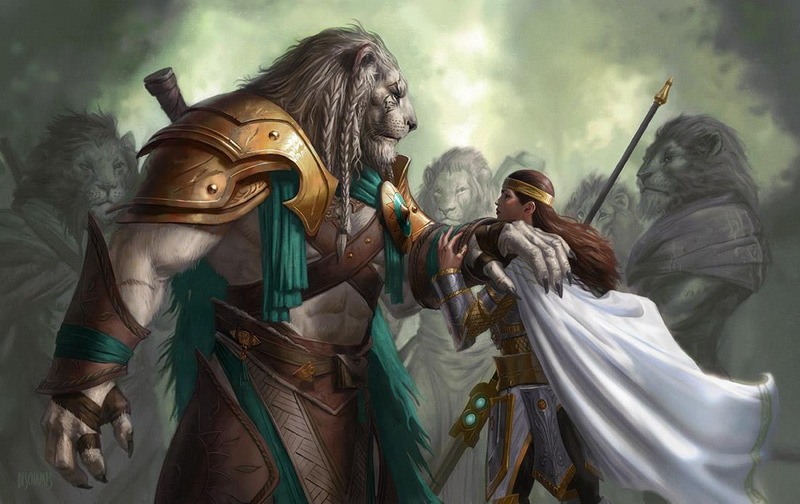 And the above is just one example, the image (from MtG) so good as to be irresistible. Take Legolas and Gimli, Elf and Dwarf and about as different as different can be, as another and arguably the most famous instance. One loves gems and mountains, the other woodlands and flowers, and there is a long history of distrust, scorn, and even war between their races. 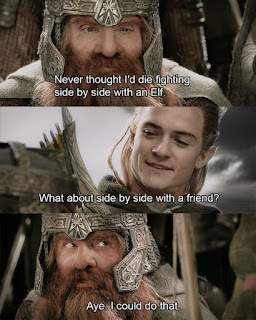 Yet between them blossoms a friendship based on battle-born trust, a hugely funny love of slaying orcs, and a whole host of shared experiences coupled with being the sole representatives of their races in the War of the Ring as fought in Gondor and Rohan. Not enough? Well, who can explain why people become friends? Sometimes it just works and, in my experience, the strange friendships often turn out to be the best. 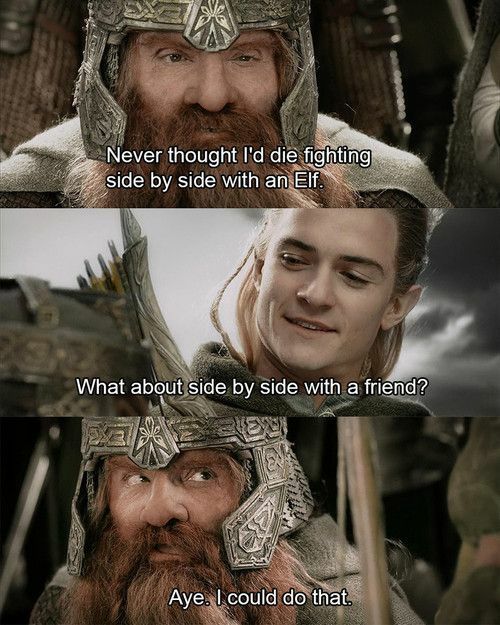 The point though is that racial differences were overcome to the degree that, long after the Sauron's fall and the death of Aragorn, when they were last two living members of the Fellowship in Middle Earth, Legolas took Gimli to the Undying Lands with him.